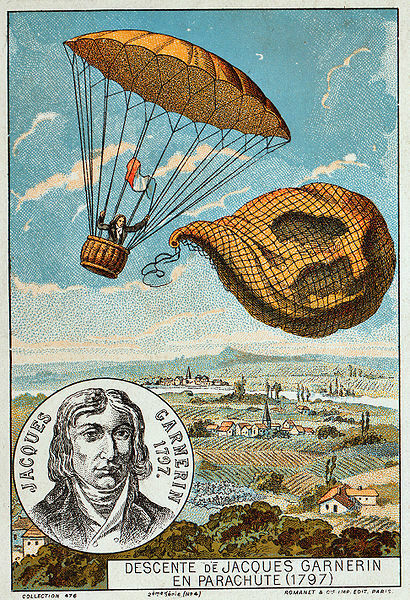 As we gaze groundward, we might recall that it was on this date in 1797 that André-Jacques Garnerin accomplished the first successful parachute jump. He ascended to 2,230 ft. above the Parc Monceau, Paris, with a balloon, then released it and unfurled a silk parachute. Lacking any vent in the top of the parachute, Garnerin descended with violent oscillations– as a result of which, he suffered the first case of airsickness.